Learn about the bereavement support Rachel's Gift can offer to your hospital and staff as a collaborating facility. ​There are two main aspects to our services - educational training and physical bereavement keepsakes, supplies and materials. We have provided a synopsis of each below. We offer a 4 hour course that is generalized and also includes facility specific information on how to practically care for a patient experiencing loss. Throughout the education, we focus on alleviating fears and offering very practical tools to help caregivers feel more confident and comfortable walking into these difficult situations - even down to simply what to say and what not to say. ​Our class is an accredited Continuing Education Course in Ethics for doctors and nurses. ​A team of medical professionals, grief specialists, and mothers who have experienced loss drafted our well-balanced and comprehensive course to educate medical staff on the unique needs of bereaved mothers. After research, we have learned that medical staff have had little to no training in this area. As a result, stress increases for the caregiver and there can be a lack of appropriate care given to the patient. We equip medical professionals with tools to care for these unique patients effectively. Classes are tailored to meet the needs of the professional groups listed. Our class is taught live or facilitated, with questions answered, common situations addressed, and practical procedures provided to help caregivers feel more confident in caring for their loss patients in many different situations. Resources are given to each class participant to refer back to including our contact information if they ever need additional help with a unique situation. Participants can also receive up to 4 continuing education credits for taking our class.
" I can honestly say, that in the last six years of nursing, Rachel's Gift and the education that they brought to our hospital has been the best education that I have received as a Labor and Delivery nurse. " " The presenter did a wonderful job sharing her knowledge, information, and personal experience. All of which helped me understand how to relate to a family in a similar situation. I'm thankful for the opportunity to attend. " 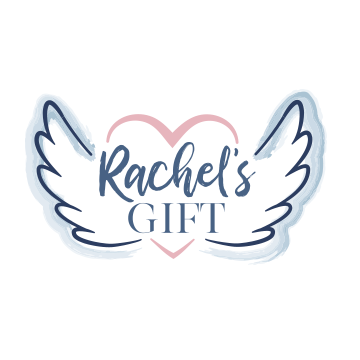 When you partner with Rachel's Gift and your staff completes our education class, we provide your facility with keepsake boxes to offer to your patients and families at their time of loss. Boxes include our angel bear, a handmade blanket for swaddling, options to capture handprints and footprints, and burial gowns. These keepsakes are a physical lifetime connection to the child that was only in a parent’s arms a matter of minutes or hours. Our boxes also contain literature to help guide parents through baby's end of life plans, resource pamphlets for mother, father, grandparents, family and friends, and a list of local, regional, and national resources to assist them through the grieving process in the months and years to come. Boxes are currently available in English and Spanish. ​We provide support for moms and families both in the hospital and beyond. Through support groups, we help families move toward healing. Unlike general bereavement support groups, our groups are specifically designed for families of "angel babies." Families are able to join a support group at any time, where there are both emotional and tangible takeaways. All groups are open to parents, grandparents, extended family, and friends. If we do not offer a support group in a patient's area, we will work to connect them with the best possible support group resource nearby. Here is the list and schedule of our active support groups. ​Support group curriculum for starting a local support group is available if requested and if a facilitator is provided. Please email us with inquiries.
" Your loving kindness has touched our hearts and all those who mourn the passing of Grace. You were so kind and loving. It was just what we needed. Thank you doesn't begin to express our heartfelt gratitude. The time spent and the lasting memories, along with all of the keepsakes, we will cherish forever. " " I want to extend my deepest appreciation for all that you did to help ease the pain from our recent loss. I thank you so much for all that you did. It meant so much to our entire family. " " I want to thank you so much for what you do for grieving parents. Losing a child is something that I wish no parent would ever need to go through. The service - no the healing - that you help provide is priceless and such an amazing gift. " " Your well-treasured boxes gave me so much comfort. I may not have left the hospital with my angels, but I am so thankful that you made sure I did not go home empty handed, but had a well-treasured memory of my babies I miss so dearly. "